Back-to-School at North Park Thursday Market August 31 - San Diego Dining Dish! As summer comes to a close, kids are heading back to school with fall quickly approaching. 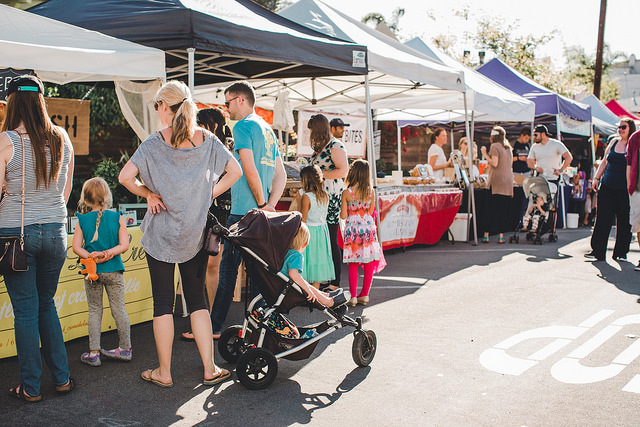 North Park ThursdayMarket, San Diego’s largest weekday market, is kicking-off the school year with a family-friendly event of games, prizes, chef demos and more! On August 31, from 3-7:30 p.m., head to North Park Way and 30th Street for a free back-to-school bash at North Park Thursday Market. Kids can eat, play and learn with a scavenger hunt of fresh fruits and vegetables with prizes or explore their imagination with art projects, cookie decorating with Maya’s Cookies and photo booth fun. Not-to-miss: Elexia de la Para of ArtElexia will be inviting kids to make fruit and vegetable pinatas. There is something for the parents too! Local chefs from the neighborhood will spice-up the school year with lunch-box culinary demos and recipes using in-season produce. Come with your reusable bag and explore over 90 vendors with rich stone fruits and juicy vegetables piled high. Make sure to chat with the farmers about their favorite recipes just in time for fall. Start off the academic year on the right foot with fresh and local recipes. 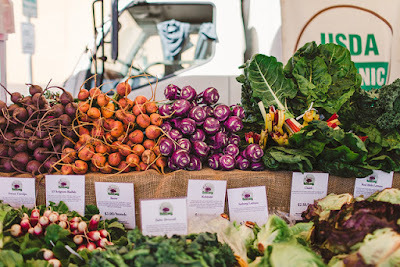 Come shop the farmer's market, have some fun with the family and even grab dinner for the night. The North Park Thursday Market has a host of international selections of dinner options to choose from.